The main goal of the company is to offer products that are safe and quality-controlled. That is why daily inspections are carried out on the company's privately owned chemical laboratory and at collaborating laboratories both in Greece and abroad to guarantee the high nutritional value of our products, such as sesame, tahini, halva and honey. In respecting the environment, we make sure that liquid and solid waste is properly disposed of through biological treatment and that fully recyclable materials are used as far as possible. The company applies a Food Safety Management System according to ELOT EN ISO 22000: 2005, certified by TUV HELLAS. 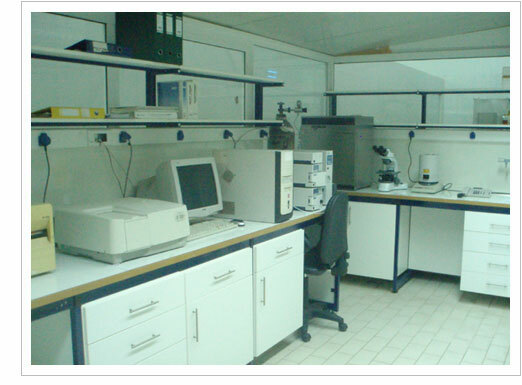 Thereby ensuring that the produced products are tested at all stages of production and meet consumer demands. We also hold a certificate of conformity (IFS) for production and packaging of various honey types, according to the International Food Standard, issued by NSF Certification.